We sell and dispense all types of hearing aids at the Chalfont hearing centre. One of the big guns is Starkey. Recently they announced a new innovation for their Live Ai hearing aids. It now comes with fall detection, meaning it will detect if you have a fall and if you are paired with your phone it will message up to 3 contacts that you have specified before hand. Read the full press statement bellow for more info, or if you are interested in knowing more please pop in or make an appointment so we can walk you through the new hearing aid and it’s features. Looking for information on how what hearing aids would suit you or what you need? Book an appointment with the Chalfont hearing centre and have a full spectrum hearing test done. Once the test has completed Leon Cox will sit with you and discuss the results. Once they results are know he will then go through what the different types of hearing aids (if any needed) are good for your hearing loss. There are many hearing aids available form many different manufacturers. The Chalfont hearing centre are an independent hearing centre, covering the whole of Bucks. We are not affiliated to any manufacturer so can offer you what you need rather to what we sell. We can access all the major manufactures hearing aids for you to choose from. Latest Digital Hearing Aids arrive in Chalfont Bucks. We may not be the cheapest hearing aids in Buckinghamshire, but we are very competitive and an independent small family owned company. Your ears deserve the best, we are the best in the Chalfont and Bucks area (according to our receptionist). Unlike the larger high street companies, when you visit us you will be seen by the same person each time! This make a huge difference for your treatment and dispensing. Consistency is key when it comes to ear health. We don’t have the buying power of the major companies but we are pretty close. We offer what the majors don’t. We offer one to one ongoing treatment and advice with the same person who you will get to know and we will get to know you. For most of our clients we are almost family as we know each other so well. If you feel like you need advice before you buy a new hearing aid or a set of hearing aids we are happy to trial these so you are 100% happy before you purchase. Please ask our receptionist or Leon Cox our lead audiologist for more info. We are committed to make sure you are happy and content with your hearing aids, so always here to make sure you get the best from them and us. We will always try and fit you in as soon as possible if you are in need to see us urgently. We also conduct ear wax removal using Micro-suction, and the traditional water irrigation technique, along with hearing test, hearing batteries and hearing aid repairs. The Chalfont hearing centre for hearing issues, is a private hearing company based in Chalfont, Buckinghamshire. Leon Cox, the lead audiologist can help with all matters relating to hearing issues & ear wax removal, also the latest hearing instruments (Hearing aids) and conducts hearing tests. Book ahead for a comprehensive hearing test and discussion on your hearing heath after the hearing test result. If you are suffering with hearing loss and suspect that ear wax maybe the issue, Leon Cox will conduct either Micro-suction or use the traditional water ear irrigation technique. Microsuction is painless and is the latest way to remove stubborn ear wax from your ear canal. The British and Irish Hearing Instrument Manufacturers Association (BIHIMA) works closely with its European counterpart the European Hearing Instrument Manufacturers Association (EHIMA), and has supported their recent efforts to raise awareness of hearing loss with EU policymakers, the trade association announced. EHIMA submitted a parliamentary question to the European Commission in July, which has recently received a response from ministers. 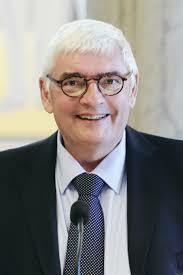 The question, which was signed by the Austrian MEP Heinz K. Becker, can be read in full here. The question points to a widening gap between people that self-report hearing loss and the smaller proportion that receive treatment and/or wear devices; this “suboptimal use” of devices is estimated to cost the EU over EUR 500 billion (about USD $583.73 billion) annually. Citing the European Pillar of Social Rights—principles 16 and 17 which cover health care and the inclusion of people with disabilities—the question asks how the Commission can support best practices like early screenings, community education about the benefits of hearing devices, and research related to prevention and treatment strategies for hearing loss. According to BIHIMA’s announcement, the Commission’s response is considered a positive exchange of information. Further, they state, BIHIMA’s European hearing manufacturing partners are encouraged that a greater understanding of hearing loss is being fostered among European policymakers. “BIHIMA stand fully behind our European partners, EHIMA, in their effort to draw much-needed attention to hearing loss and we applaud this initiative to influence EU decision-making,” said Chairman Paul Surridge. BIHIMA and EHIMA are together committed to the work of improving the lives of people with hearing loss through promoting greater access to hearing technology. Hearing aid batteries last how long? How long should the hearing aid battery last after a full charge, and how does Bluetooth affect this? The Chalfont hearing centre is a premier independent hearing company based in Chalfont Buckinghamshire. We supply all manufacturers hearing aid batteries and conduct hearing tests. Microsuction ear wax removal is our speciality here and we also still use the traditional technique of water ear irrigation if you prefer. Hearing aid batteries can be bought over the counter or we can post them to you if this is easier. This Weeks blog is about the hearing aid battery and how long these should last from a full charge. Q: How long should the battery last after a full charge? How much does Bluetooth activity affect this? A: This is a great and very important question. Battery life is dependent on several factors including the amount of capacity of the battery, how fast the hearing aid drains the current, and the wear behaviors and habits of the user. Much like how a car’s mileage range depends on its gas tank, the driving conditions, and the owner’s driving habits, a hearing aid’s battery life depends on the capacity of the battery, the wearer’s listening environments, and use of the various hearing aid functions, including audio streaming. I like to use the example of an automobile. How many gallons of gas does the fuel tank hold or, for hearing aid batteries, how many mAh capacity is in the battery? How many miles per gallon does the car use or how many mA does the battery drain both when streaming and not streaming? And, finally, is the car driven on the highway or in the city and is the air conditioner on or off? Or, for hearing aids, how many hours per day does the hearing aid stream? Does the hearing aid use 2.4 GHz streaming or does it is use NFMI with an intermediate device that has its own battery? And, what features are turned on or off on the hearing aid? Please note a factor we have learned in our electronics’ lab. Not all hearing aids are the same. Some 2.4 GHz products have current drains averaging 4.8-5.0 mA when streaming while other 2.4 GHz products using lower power Bluetooth will drain the battery at 3.0-3.4 mA while streaming. Some 2.4 GHz products when not streaming may have battery drains of 1.8-2.0 mA, while some of the newer products with bilateral beam-forming may drain the battery at 2.3-2.5 mA when not streaming. The key is to know your products and know your patient’s listening habits. This is critical to good counseling. Q: Is the life of the hearing aid circuit reduced as a result of using the rechargeable system? It did happen when [a previous model of hearing aid] were rechargeable. A: The ZPower Rechargeable System has been thoroughly evaluated by the hearing aid manufacturers and there is no indication that the system will have a negative effect on the life of the hearing aid circuit. The ZPower silver-zinc battery is designed to mimic the performance of traditional zinc-air batteries and is transparent to the DSP of the hearing aids. 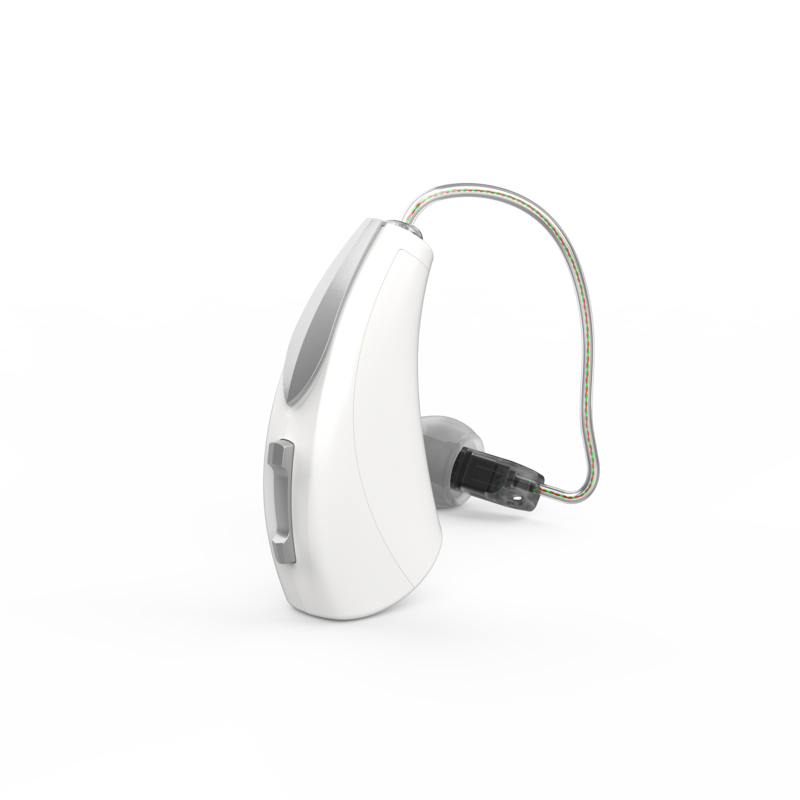 Extensive studies of hearing aids using the ZPower System also show the system including the ZPower silver-zinc batteries have no impact on the electrophysiologic performance of the hearing aids. Therefore, the ZPower System will not have a negative impact on the hearing aid circuitry or performance. Q: What’s a realistic time frame for a rechargeable hearing aid battery to last? A: Rechargeable silver-zinc batteries last about a year. They are removeable and therefore easily replaced. It is recommended that rechargeable silver-zinc batteries are replaced once a year by a hearing care professional. 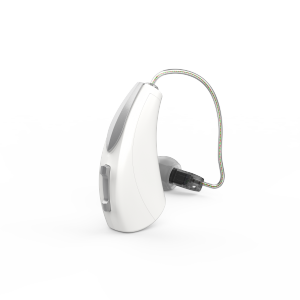 Li-ion batteries are sealed within the hearing aid, and are usually removable only by the hearing aid manufacturer. They last approximately 4 to 5 years. Q: What would happen if my patient accidentally places their hearing aids in the charger while they have zinc air batteries in them? A: When the hearing aids are put on the charger, the charger will check to see what type of battery is in the hearing aid. If the charger detects a disposable zinc air battery, the lights on the charger will turn red. If the charger detects a silver-zinc battery, the lights on the charger will start blinking green; once the battery is fully charged, the lights will turn solid green. Q: Can my patients overcharge a ZPower battery if they leave it in the charger for too long? A: The batteries will not overcharge if left in the charger. It is a best practice to put the hearing aids back on the charger when the hearing aids are not being worn during the day. This will keep the hearing aids turned off and the batteries charged. For long-term storage, if batteries will not be used for over 2 weeks, the rechargeable batteries should be removed from the hearing aids and stored in a location where they will not touch each other or other metal objects. Q: What happens when the silver-zinc rechargeable battery is getting low on power? A: The hearing aid wearer will hear the low battery warning. Once the low-battery warning occurs or once a hearing aid shuts off due to a low battery condition, the battery door should not be opened and closed to reboot the hearing aid. Rebooting after the low battery warning can override the smart circuitry in the battery door into believing it has a traditional disposable battery installed and, although the hearing aid will continue to work for a short period, it may over-discharge the battery. If a low-battery warning from the hearing aids is received, the hearing aids should be placed in the charging base for charging or the batteries should be replaced with non-rechargeable batteries. The rechargeable batteries should not be stored with metal objects such as keys or coins. Q: How often should the batteries be charged? A: The batteries should be fully charged every night. Once the hearing aids are finished charging, the indicator lights turn from blinking green to solid green. A full charge may take up to 7 hours—the charge time varies based on how much the battery was depleted during the day. Do not try to extend battery life by charging every other day, as this increases the chances of depleting the battery. A fully depleted battery will take longer to charge and may not fully charge in time for next use. Q: What happens if the hearing aid wearer forgets to charge the battery at night? A: They can use a disposable zinc-air battery until it is convenient to re-charge the batteries—ideally the rechargeable batteries should be charged the next night. The rechargeable silver-zinc batteries are a gold color, so they will not be mixed up with zinc-air disposable batteries. The rechargeable batteries should be stored in a safe place and should not be stored with metal objects such as keys or coins. 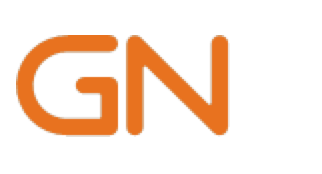 GN Hearing and Google have announced a new technology partnership that will reportedly make GN Hearing the first manufacturer to enable a full spectrum of direct audio streaming from Android devices to hearing aids. In a future Android release, direct streaming may also become available for ReSound LiNX Quattro™ and Beltone Amaze™ hearing aid users. According to the joint announcement, users will be able to connect and monitor their hearing aids without using an intermediate device for streaming from Android phones and tablets to their hearing aids. 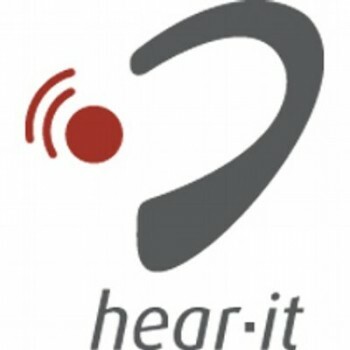 Google has published the new hearing aid specification for Android smartphones available here: Audio Streaming for Hearing Aids (ASHA) on Bluetooth Low Energy Connection-Oriented Channels. The Chalfont hearing centre is the place where you will find the very latest in digital hearing tech. If you need hearing aids, streaming devices or ear wax removal we do it all. Hearing loss in no longer a condition that is not treatable. Best hearing test in Bucks. The best hearing tests in Bucks is at the Chalfont hearing centre. 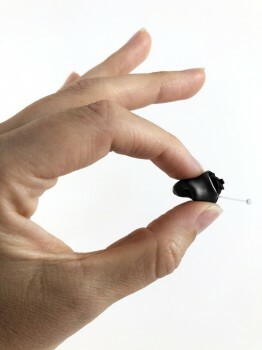 The Chalfont Hearing Centre based in Bucks U.K. are the leading Buckinghamshire hearing aid company. The very latest hearing test technology and ear wax removal are also on the premises. Based in Chalfont Bucks, they can fit the very latest digital hearing aids. Phonak, a global provider of hearing aids and wireless communication solutions, has been honored with three international Red Dot Awards for excellence in product design, the company announced. The product award winners include: Virto B-Titanium, said to be “the world’s first” mainstream titanium custom hearing aid; Audéo B-Direct, a Bluetooth®* hearing aid that is designed to directly connect to both a cell phone** and TV; and EasyView Otoblock, a product for hearing care professionals that is designed to allow for deeper ear impressions. The winners were celebrated at the Red Dot Gala earlier this month in Essen, Germany. According to Phonak, the Virto B-Titanium is “the world’s first mainstream” custom hearing aid made of premium medical-grade titanium. It was designed to combine the benefits of titanium including superior strength and an extra light weight with the latest in 3D printing technology. With the Audéo B-Direct, hearing aid wearers can answer or reject a phone call and talk completely hands-free by pressing the push button on their hearing aid. Meanwhile, the optional TV Connector uses proprietary AirStream™ technology to help connect wearers to their favorite TV programming for an immersive audio experience. The EasyView Otoblock is designed to give hearing care professionals the ability to take deeper ear impressions by allowing “full visualization” of the eardrum, according to the company. Made from the seal of a Phonak Lyric™, the EasyView Otoblock attaches to existing otoscopes and speculas and is designed to provide better vision and light during Otoblock placement. It’s compatible with standard impression-making materials and stays on the impression during the scanning process, according to the company’s announcement. This may result in an average of 6mm more canal length information. For more information, please visit www.phonak.com or www.phonakpro.com. ** with Bluetooth® 4.2 wireless technology and most older Bluetooth phones. Depression and its connection to hearing loss seems pretty logical and self-evident, especially if you’re a dispensing professional who experiences daily the difference that amplification can make in a person’s life. 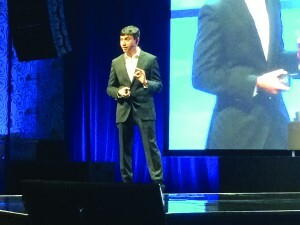 In fact, many clinicians find themselves explaining the connection as follows: a person’s hearing loss and related communication problems can lead to gaffes and social faux pas; leading to embarrassment, anxiety, and loss of self-esteem; leading to gradual withdrawal from social situations and physical activity; leading to social isolation and loneliness; and eventually bringing them down the path to depression. 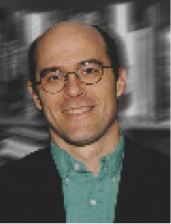 While this is probably an adequate description for some cases, a recent webinar1 by Victor Bray, PhD, associate professor and former dean of Salus University’s Osborne College of Audiology, points to more recent scientific literature that paints a far more complex picture of hearing loss and its association with depression—one we all should be aware of. The utility of hearing aids, cochlear implants, and assistive devices is made no less important by this complexity; however, it’s vital to understand who might be most at risk for depression in your patient population, how best to administer simple screening tools (ie, the PHQ-2 or PHQ-9), and why it’s important to refer patients to a medical doctor or psychologist, when indicated. Several of the studies reviewed by Dr Bray tend to suggest that the odds ratio for acquiring depression increases by a factor of about two if you have untreated hearing loss. However, a lot of the studies also show that a variety of chronic illnesses—ranging from cirrhosis to diabetes mellitus—can be associated with depression, so there could be some underlying neurophysiological common cause in hearing loss and other health problems that hasn’t been discovered yet. Dr Bray also looks at some very intriguing research about how dual-sensory loss (ie, hearing and vision loss) and sudden sensorineural hearing loss (particularly among young people) can greatly increase the risk for depression, as well as studies that are shedding light on how treated hearing loss might positively affect those suffering from anxiety, loneliness, and depression. As Dr Bray explains, the linkage of hearing loss to depression could come from both a social (downstream) effect, as described at the beginning of this article, and a biological/neurological (upstream) effect, as proposed in a model by Rutherford et al.3 If that were the case, an effective treatment plan could involve therapy and/or medication from a psychologist, in coordination with a hearing device and/or auditory and cognitive retraining from a hearing care professional. Dr Bray’s webinar was sponsored by Hamilton CapTel, and the company also sponsored an exceptionally interesting and well-viewed webinar last year about hearing loss and associated co-morbidities (including depression) by Harvey Abrams, PhD.4,5 When viewed together, they put an exclamation point on the fact that hearing loss isn’t just about the ears, it’s about health, the brain, quality of life, healthy aging, and so much more—while underscoring the crucial role of the hearing care professional in general healthcare. To see Dr Bray’s webinar, visit https://bit.ly/2Lpt4AW. Citation for this article: Strom KE. Depression and hearing loss. Hearing Review. 2018;25(8):6. 2. Hsu W-T, Hsu C-C, Wen M-H, et al. Increased risk of depression in patients with acquired sensory hearing loss: A 12-year follow-up study. Medicine. 2016;95(44):e5312. 3. Rutherford BR, Brewster K, Golub JS, Kim AH, Roose SP. Sensation and psychiatry: Linking age-related hearing loss to late-life depression and cognitive decline. Am J Psychiatry. 2017;175(3):215-224. 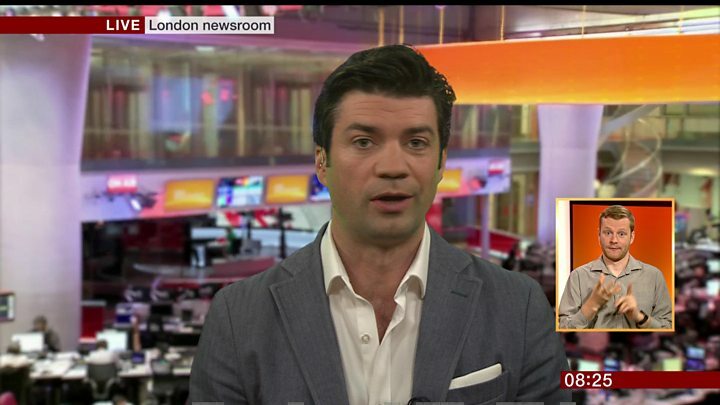 BBC news reporter now wears a hearing aid. Newsreader Lewis Vaughan Jones makes debut wearing hearing aid. A newsreader who suddenly lost the hearing in his left ear, has received messages of support after his first appearance on air with a hearing aid. Lewis Vaughan Jones, 37, feared his career presenting the news on the BBC and ITN was over after doctors told him the hearing loss was permanent. “That was the darkest moment,” he told BBC Radio 5 live. 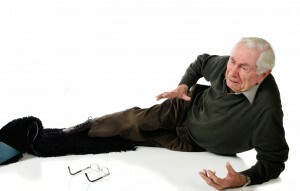 He also spoke of his embarrassment in social situations and the difficulties of coming to terms with a hearing aid. Vaughan Jones had good hearing all his life until he got a cold several months ago and couldn’t hear in one ear. Doctors found his left eardrum was no longer working and the nerve which takes sound to the brain had given up, he told BBC Breakfast. When they told him the sudden hearing loss and the tinnitus were permanent, he walked out of hospital “completely bamboozled”, he added. The charity Action on Hearing Loss says about 11m people in the UK have some form of hearing loss, and 2m use hearing aids. It estimates that there are about 6.7m people who could benefit from hearing aids. Before being fitted with a hearing aid, Vaughan Jones said his situation had left him frustrated and embarrassed. “There’s only so many times you can interrupt. You feel embarrassed so you withdraw,” he said. He also described how he would smile and nod along when spending time with friends and family, feeling unable to engage and as though he was missing out. His hearing aid, he said, has been a massive help, allowing him to return to work. His return to screen, however, was a noisy one as he can hear the director and correspondents through an earpiece in his right ear and an amplified, distorted version of his own voice through the hearing aid in his left. The brain should learn to quieten down that distortion, he said. Getting used to wearing a hearing aid has not come easy. “I was self-conscious about it. My hair is slightly longer so that’s a reflection that I might have been trying to hide it,” he adds. Now back on air, he wants to show everyone he is wearing one. “There’s no logical reason why I shouldn’t wear my hearing aid on air and feel good about it,” he said. Some took to Twitter to agree. An international study from 2012 found that 15% of the global population experience permanent tinnitus but many more are affected by temporary tinnitus. A Danish study, also from 2012, with 14,000 participants found that 27% of those in the study experienced either temporary or permanent tinnitus. In other words, more than one quarter of the Danish population are affected tinnitus. But despite a lot of research on the topic, there is still a lot to learn about tinnitus. According to Chief Physician Ture Andersen at Odense University Hospital in Denmark, tinnitus is often a symptom of damage to the inner ear. Tinnitus is not a disease, but can be a symptom of a disease or an impaired auditory system. It is defined as the perception of noise or ringing in the ears when no external sound is actually present. The sounds are most commonly described as ringing, whistling, wheezing, buzzing or humming, but can be described in many other ways. A large Swedish study showed that excessive noise at work and in other environments results in fatigue, headaches and ultimately impaired hearing or tinnitus. Another study, from France, shows that only one in 123 people with tinnitus do not have a hearing impairment. Eva Jensen, who lives in Greve, Denmark, fits in well to these statistics. With a moderate to severe hearing loss, Eva can’t hear much without her hearing aids and she experiences tinnitus. “What does your tinnitus sound like?” I asked Eva. She explained that it is a constant buzzing sound, which lies somewhere in the middle of the pitch spectrum. “I think it developed at my work where there was a lot of noise,” says Eva. In 2006 she stopped working as an Educational Assistant in a nursery because of a back injury and since then she has suffered from constant back pain. “It was only when I stopped working that I started thinking about my tinnitus. My husband was still working so I was at home alone where it was completely quiet and I became more aware of the ringing in my ears.” She experiences it all day, especially when she takes off her hearing aids in the evening. “Since my injury I have the TV on constantly – it helps me think of something other than my back pain,” says Eva. “It’s really great to be able to use the app when my tinnitus is driving me crazy. If you are strongly affected by tinnitus, I would definitely recommend this app. There are so many possibilities with creating your own soundscapes, you can always find a sound that’s comfortable. There is no doubt that I’m going to keep it on my phone, so I can get help when my tinnitus it really bothering me,” says Eva with a smile. The idea of helping people focus on something other than the pain, or in this case tinnitus, is the basic concept of a new app made by the hearing aid manufacturer GN Hearing. The free app is called ReSound Relief and offers a combination of audio therapy and relaxation exercises. My editorial team and I tested the app, which offers some new and unique features compared to other apps we have tried. One very smart feature of the app is that it allows you to create your own soundscapes. Relief allows you to combine a variety of familiar sounds such as birdsong or bubbling water with music and other therapeutic nature sounds. The ability to combine sounds, offers an almost endless amount of possibilities. This sound mixing feature allows you to mix five different sounds and you can individually adjust the volume of each sound. After downloading the app, you can listen to music on your smartphone as usual, and if you use wireless hearing aids or headphones, you can stream directly through them. The ReSound Relief app also contains a feature called MyRelief that keeps a record of how you use the app and which sounds you have used the most. It creates a personalized plan and allows you to track your progress, much like an exercise app. “When we were developing the concept of this app, we analyzed the market for other tinnitus apps and found that mostof them just use sounds as a distraction. Very few actually guide the user through the tinnitus management process. Tinnitus management for many is more than just playing a sound. The idea of MyRelief is that you can use it as part of the treatment provided by a Hearing Care Professional. Because MyRelief keeps a record of your use, it provides useful information that a Hearing Care professional can use as part of tinnitus counseling” says Michael Piskosz, Senior Audiologist at GN Hearing. The app gives you some great tools to help you with your tinnitus. This strategy is supported by a study by Professor Ture Andersen from Odense University Hospital. “Unfortunately, the more emotionally you react to your tinnitus, the more the tinnitus signals will pass through the hearing center in your brain. If you respond by getting irritated or with stress or anxiety, it can actually make you more aware of the tinnitus sounds. You may end up getting into a “vicious cycle” where your tinnitus ends up controlling you. It’s important to learn how to avoid this. One way is by training yourself not to respond to the tinnitus sounds. This way, the brain will filter out the noise signals to a large extent before reaching the hearing center. Then you’ll only hear a weak sound in the background, a light soundscape that makes it less distracting.” The study also shows that music can help. The volume of the music should not be particularly high – it’s not about covering up the sound of tinnitus with a louder sound – but about focusing your attention on the music and away the tinnitus. More information about ReSound apps, please click here.